I’m so sorry…yes I realize that Faith post Friday has become Saturday. 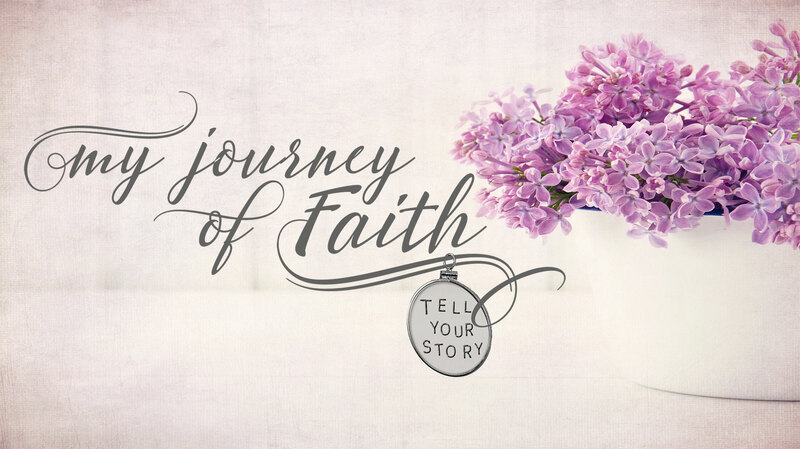 That was not my plan and without going into all the reasons why I will just rest in knowing that I believe it was exactly what God designed it to be. I spent this week heavy and deep in trying to accept “change”. Trying to embrace it but knowing that it was far from where I wanted to go. This has been far longer than a week, in fact it is beginning to feel more like a season. I often wonder why change is so difficult to accept. We are probably pretty quick to jump and say its comfort…. and yes I think that is part of it. Change usually pushes us outside our comfort. Change can be lonely. It is often just not what we want. It’s not about what we think is best. It’s not ….well…its just not about “us”. Yes….here we go again. We live for us. Even as unselfish by nature as we think we might be….we are just selfish. We want for our lives to revolve around what we want and what we think and what we like and what makes us comfortable. I spent the morning at a local pancake breakfast that was hosted by a group of volunteer fire fighters. These men and women by choice , without any motivation of personal gain (key is volunteer) , walk right into the face of uncomfortability every chance they can. These men and women choose to not stay in comfort and instead lay their personal life aside and go into a situation that most would run from because comfort for them is more dangerous. As believers we don’t have time to be comfortable. 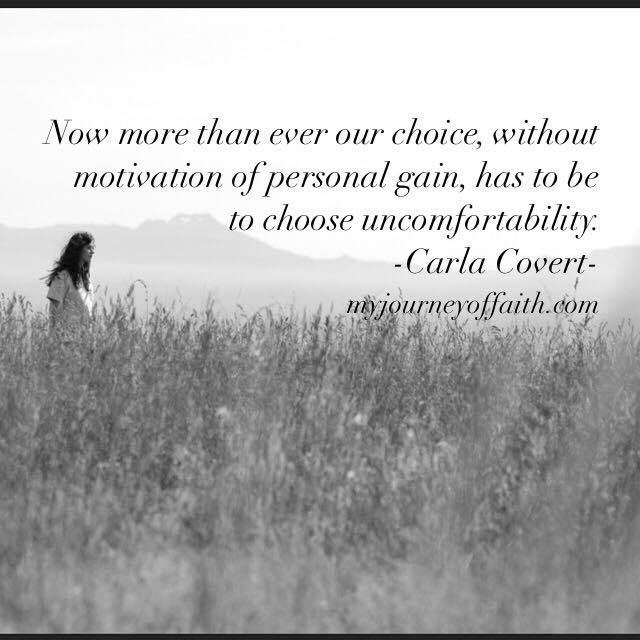 Now more than ever our choice , without motivation of personal gain, has to be to choose uncomfortability. It has to be about laying our wants, our needs, our desires, our lives aside for the sake of the dangerously lost world we live in. This starts in our home with our children and in our marriages. Laying our needs aside for loving well the ones that cross our path first. It carries into our work places and into our church buildings. Seeing the lonely and hurting and laying aside our need to “fit” in a crowd or in a place that leaves others feeling rejected. Joshua 1: 9 “Have I not commanded you? Be strong and courageous. Do not be afraid; do not be discouraged, for the Lord YOUR God will be with you wherever you go”. To be more like Jesus we need to spend time with the people Jesus spent time with. First , His father and second the lost and sick. So step back, look at where you were and where you have been. Look at where God has brought you. Don’t be scared. The time is now. We do not have time to be consumed with ourselves. We do not have time to be scared of change. We do not have time to be consumed about how to further our agenda. We do not have time to be about living in comfort. That my friend is nothing but dangerous. It is time to run into the fire. The choice may just help save a life.